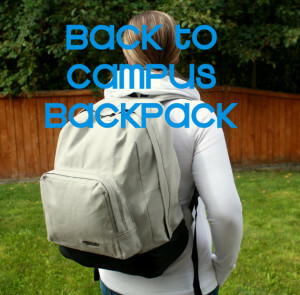 With 3 weeks left of summer before school starts, I figure it’s time to start making a few ‘back-to-school’ items for Easton. 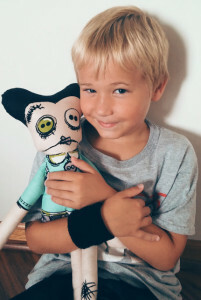 I always find sewing for boys a challenge – there are only a handful of styles they wear and finding fabric geared toward a young male (there’s a lot more infant\toddler boys stuff out there) is often difficult. 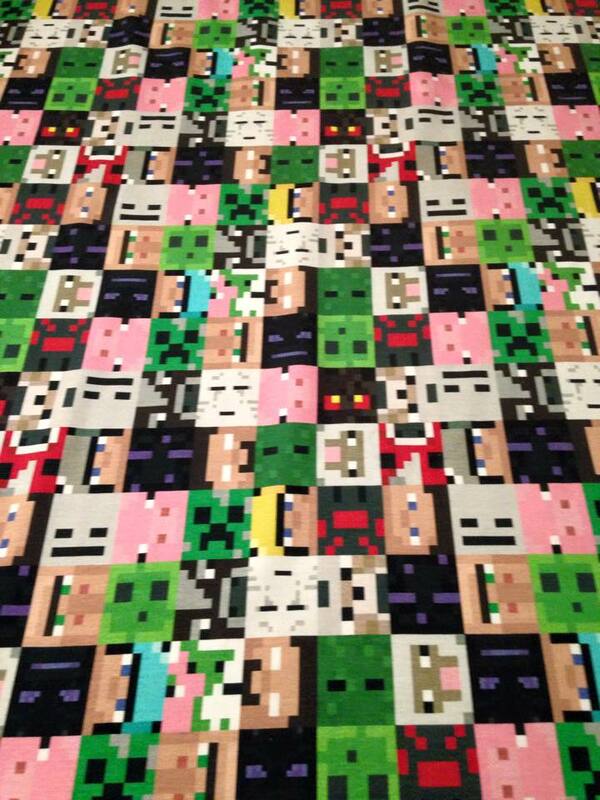 However, several months ago I stumbled across some Minecraft (stretch) themed material and had to snag it…. I’ve been sitting on it ever since and finally made the decision to cut into it. I figured since we had several Minecraft themed tees already, I would stay away from that style and try something different – a polo. This print is very busy (and has very large blocks) and the Perfect Polo has just enough contrast pieces (saddle shoulders, pocket, placket, and collar) that will hopefully break up the design some. With any luck (and very careful cutting), I may even have enough material to make a t-shirt, too! This entry was posted in Uncategorized on July 31, 2015 by stacy. Always wanted to try a My Image pattern? Now you can! The Carly is available until tomorrow! 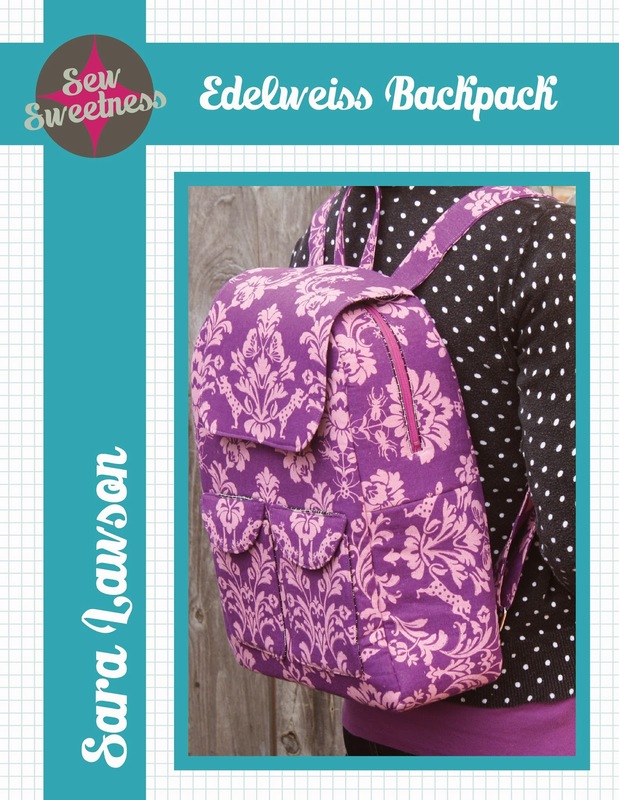 Create yourself a new purse for fall using Sew Sweetness’ free pattern, the Brookfield Bag. Learn how to create a crochet crop top that was collaborated by By Hand London. Skip the blankets at your next picnic and try these water resistant lawn cushions instead (plus there’s a matching duffle to carry them too!). Don’t let the straps on a heavy bag dig into your shoulders… make these shoulder pads and carry in comfort! Carry your favorite vintage pattern with you wherever you go when you create a fun zippered pouch (uses printable fabric). Forget mug rugs, this mug bag may be the cutest thing I’ve seen in awhile! This adorable tote holds your favorite cup and has a pocket for your tea bags. Know someone going off to college soon? Decorate their room with some of their favorite memories when you stitch up a fun sweatshirt pillow. Learn how to create a crib pouch (great for stashing diapers and wipes) or chair pouch (great for storing books and art supplies for older children). Start back to school sewing with by whipping up some of these adorable binder pouches (this would also work great or holding small craft supplies). If you’ve ever considered making cloth menstrual pads, this tutorial is for you. Box bags gone mini. This version makes an adorable keychain. I’ve been seeing a lot more fringed bags lately and now I think I want one. I may be starting off by whipping up this fringed bucket bag. Bring summer into your sewing room with these adorable fruit shaped pincushions then dress them up with fruit topped pins. This entry was posted in Uncategorized on July 30, 2015 by stacy. Halloween is definitely one of my favorite holidays of the year, but by the time fall rolls around, I’m so engrossed in other projects that I rarely haven enough time to stitch up some of the ideas I have rolling round inside my head. Not this year. This year, I’m starting early. This year, I started Halloween in July. 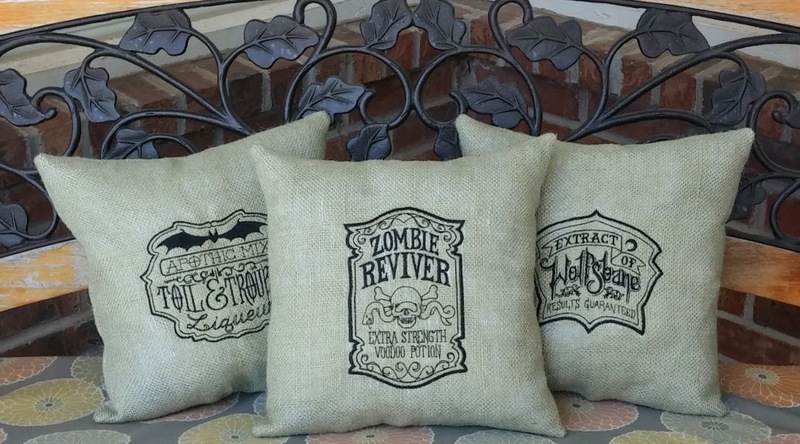 I was inspired by Urban Thread’s Apothoscary photo from their recent sale (I didn’t realize that I had used the same designs as their until today) to make burlap pillows (mine look less fuzzy, but I imagine the more I handle them, the more they will ‘fray’). This was my first time embroidering on burlap and I found it surprisingly easy – the key is to use a good stabilizer and don’t hoop the fabric. Hooping will definitely distort the grain of the material. When I came to pillow construction, I lined the burlap with muslin before sewing to keep the stuffing from poking out through the “holes” of the fabric. I think doing this will also help the pillow be a bit more durable over time as well. Now, I can’t wait for fall to roll around so I can put these permanently on my porch and start celebrating the season! This entry was posted in Uncategorized on July 29, 2015 by stacy. 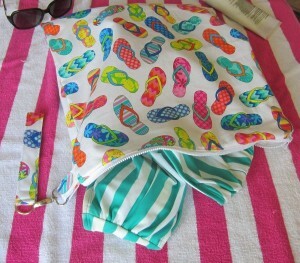 My latest tutorial for Bernina’s WeAllSew went live yesterday and it’s perfect for summer… it’s a Swim Wetbag! The interior of this bag is made with PUL to keep moisture\wet suits ‘locked’ inside the bag and away from clothing and other items that need to stay dry. 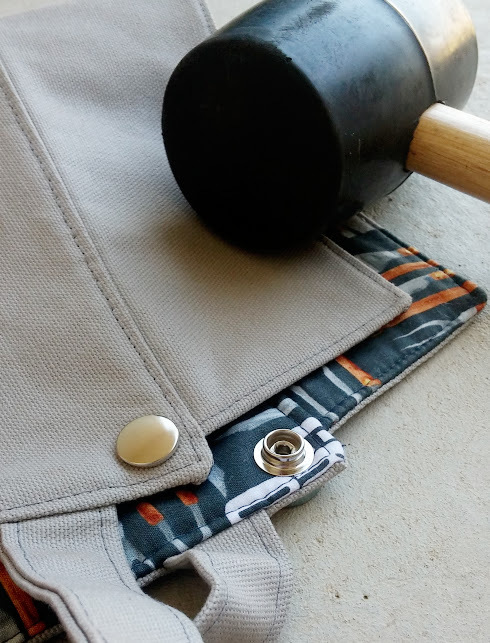 It also has a zippered closure and a detachable handle so that it can easily be used as a stand alone pouch or clipped onto beach bags, gym totes, etc. 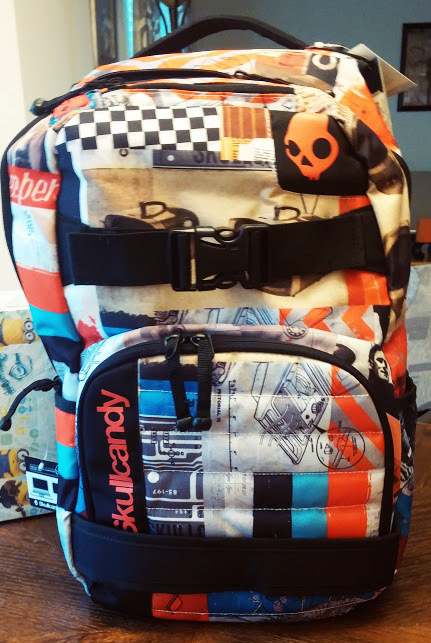 I took this bag along with us on our most recent trip and it was the perfect size (the finished size is 15″ square) for all our wet suits and it worked wonders keeping the rest of our clothing dry in the suitcase. Can’t wait for everyone to give this one a try and let me know how you use your new Wetbag! This entry was posted in Uncategorized on July 28, 2015 by stacy. This past week\weekend, we had a trip out of town to get away before school starts (in 3 weeks) and to give Easton his ‘roller coaster fix’ for the year (he is obsessed with theme parks and because he is finally tall enough to ride a new batch of roller coasters, he was ready to ride them all). Consequently, there wasn’t any sewing going on (although I did do some Halloween\cosplay planning), but we did do some ‘crafting’ once we got home yesterday…. candy crafting that is! The shocking thing is that the end result of our Popin’ Cookin’ kit looks just like the ones on the box and my 7 year old could do almost everything by himself. 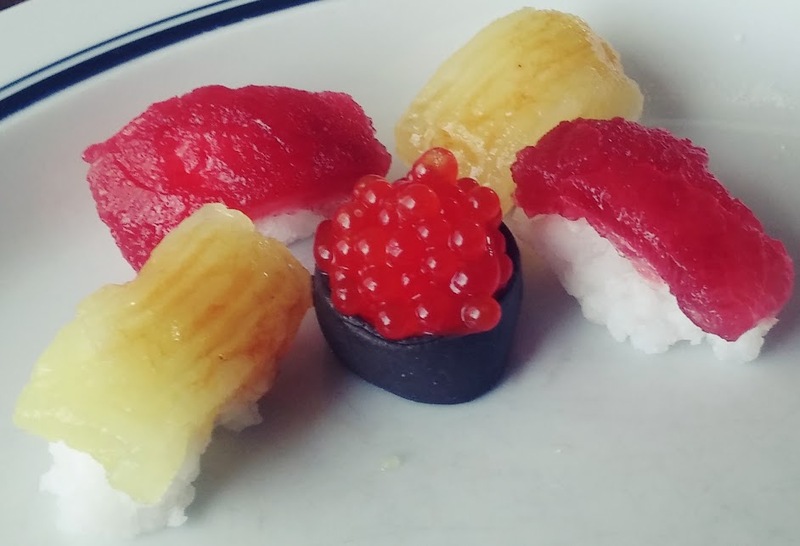 The flavors were good, although very sugary, and the texture is odd – if you don’t care for jello-like substances, a lot of this will be off-putting. Otherwise, this was a fun little project to do together and sample it’s flavors. 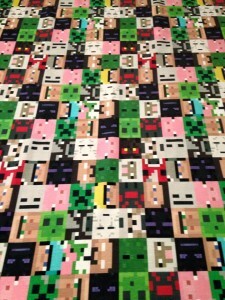 Now it’s back onto sewing! I have lots of projects in my mind that I want to get started: A few back-to-school shirts, more shorts for my mom, a pair of Elenore pull-on pants, and a circle skirt using the left over floral from the Summer Tee. Whew, I think I’m going to be busy this week! This entry was posted in Uncategorized on July 27, 2015 by stacy. This summer has been filled with so many activities I’ve found that my sewing time has been rather limited. Consequently, a lot of the ‘larger’, more time consuming projects have been put onto the back burner until I have more time that I can devote to them…. so, ‘instant gratification’ projects it is! This week, it’s Riley Blake’s Zoey the Zombie Doll panel. I’ve had my eye on this since last year, so when I placed my last order at Fabric.com, I had to put it in my basket. This little cutie was put together in a (short) afternoon and went together easily. As soon as Easton saw it, he asked if it was for him – and with his love of all things Halloween (and zombies) how could I refuse? Guess I’ll be buying another panel soon so I can make one for myself. Maybe I’ll try the orange colorway this time! This entry was posted in Uncategorized on July 24, 2015 by stacy. Need a pretty and fashionable swimsuit cover? Look no further than this drapey kimono tutorial. Want something with a little more coverage? Be sure to check out this summer caftan. Create a pretty, asymmetrical skirt in 15 minutes. I remember making a Japanese knot bag years ago and used the heck out of it. Now you can make (and use the heck out of) one for free! For diapers, wipes, and necessities on the go – The Big Pocket Baby Clutch. Want to make it a gift? Stitch up a coordinating baby changing station. Look fabulous and keep your clothes clean in the kitchen with a pretty half apron with jumbo pockets or stitch up a full-sized apron with a gathered skirt. No more naked boppies, make a nursing pillow cover using this tutorial. Now your little one can beat the heat in a two piece bubble romper (full tutorial requires subscription to a newsletter). If your summer plans include a road trip, then you’ll want to make a seat belt cozy that’s perfect for kids. Pretty headbands that are simple to make (I love the 3 ‘strand’ version). This entry was posted in Uncategorized on July 23, 2015 by stacy. 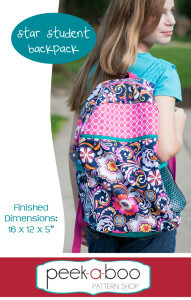 I had narrowed it down to 3: Peek-a-Boo Pattern’s Star Student Backpack (which also has a matching lunchbox for purchase), Diedelbug’s Back to Campus Backpack (which looks the most like purchased backpacks (IMHO), and Sew Sweetness Edelweiss Backpack (the least commercial looking of the lot, but looks easy enough to sew). Simplicity 1388 almost made the cut, but I’m not sure anyone carries View B any more and View C is too puffy for a little boy to carry around. In the end I started thinking about the time I would need to sew one up, the cost of materials and notions (the patterns are relatively inexpensive, but the supplies could add up! ), and the possible frustrations that lie ahead (as much as I love bags and the end results after making one, I find that I wind up hating fighting the bulk while sewing) and decided that buying a new backpack didn’t seem so bad after all! Plus the bag Easton picked out (pictured on the left) is a ‘that’s so him’ print, it was on sale, and I had a reward certificate from that store that paid for it all in the end. I may break down and eventually make a lunchbox (either using the Hungry Explorer or the Star Student Lunch Box), but last year’s had hard sides to prevent crushing the food inside and I have to admit I really liked that style the best. So, my question is, who’s brave enough to sew their own backpacks and gear for back-to-school and which pattern did you prefer? I may take the plunge next year! This entry was posted in Uncategorized on July 21, 2015 by stacy. For me, the scariest part of a project is adding hardware. Since this part is generally reserved for the end, you’re left to make holes in your finished item before applying fasteners…. not only is it hard to purposefully puncture my project (say that 3 times real fast! ), I have the constant nagging feeling that I’m going to have to start all over again because I did something wrong (made the hole too big, destroyed the hardware, ruined the fabric around the hardware, messed up the alignment of the hardware, etc). This weekend I put the finishing touches on a large (mystery) project that required snaps. I will admit, I literally sweated putting all of them in (although this could have been because I installed them outside during the hottest part of the day), but am happy to report that they all set up the first time around! Whew! One thing I should note, rubber mallets (as seen in the photo, initially I couldn’t find our ‘regular’ one) do not hit the setting tool hard enough to flatten the post around the snap pieces. This entry was posted in Uncategorized on July 20, 2015 by stacy. As much as I complain about PDF patterns, I have resigned to the fact that they are here to stay. Not only do they provide instant gratification (no stalking the mailman waiting for them to arrive, plus I can easily shop in the middle of the night and have a pattern ready by morning), but some companies only work with this format. The thing I dislike most is putting the pattern together – all the cutting, taping, gluing (and then generally tracing) can be a lot of work depending on the number of printed pages. 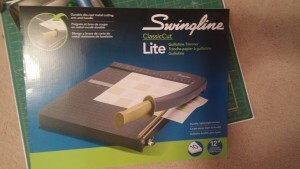 However today, I have a new toy device that will hopefully make things go faster….. a papercutter! 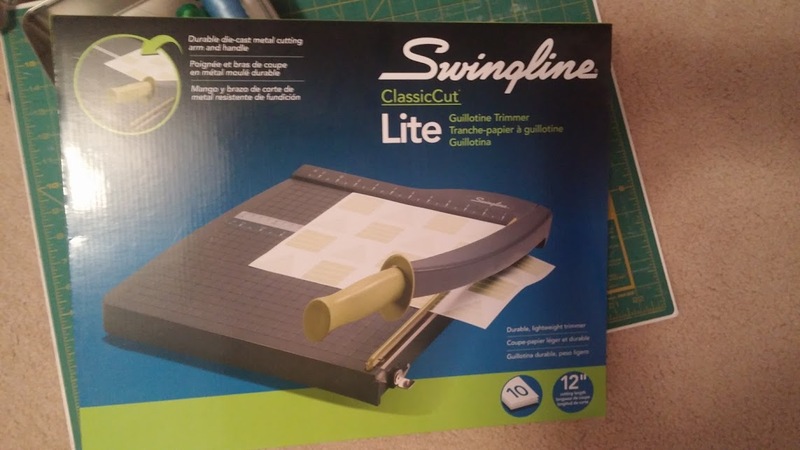 Bring on the new patterns, folks, I’m ready to cut! This entry was posted in Uncategorized on July 17, 2015 by stacy.